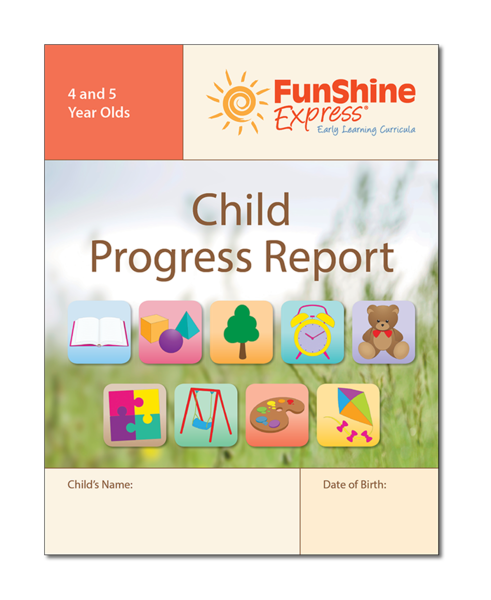 Each monthly curriculum kit includes a Teacher Pack, Children's Resources, and your choice of personal journal OR practice pages. Plus, your first kit order of the curriculum year will include a FREE Starter Pack for each of your classrooms, which can be used throughout the curriculum year. Do you want to include additional Teacher Packs? Includes numbers 0-20. 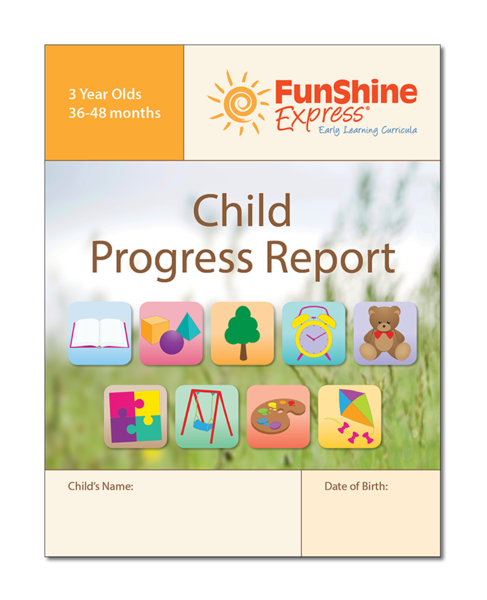 Great for activities such as identifying and counting. 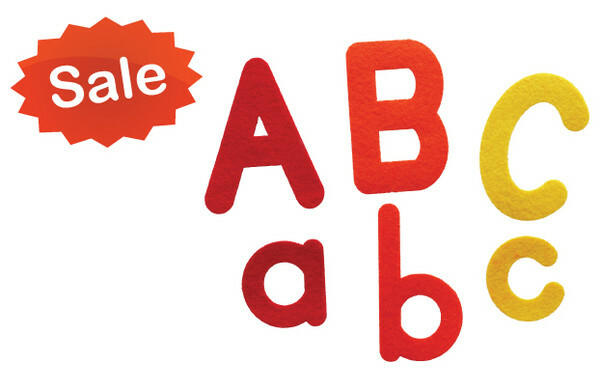 Includes 26 uppercase and 26 lowercase letters. 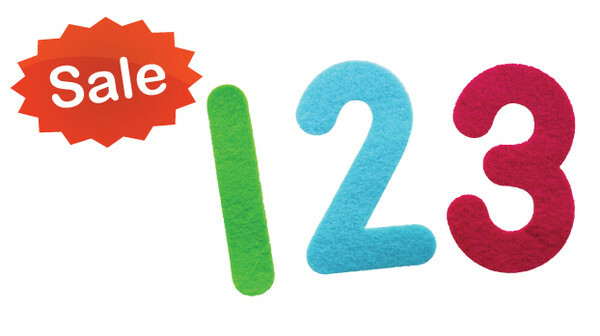 Great for activities such as rhymes, tracing, matching, and identifying. 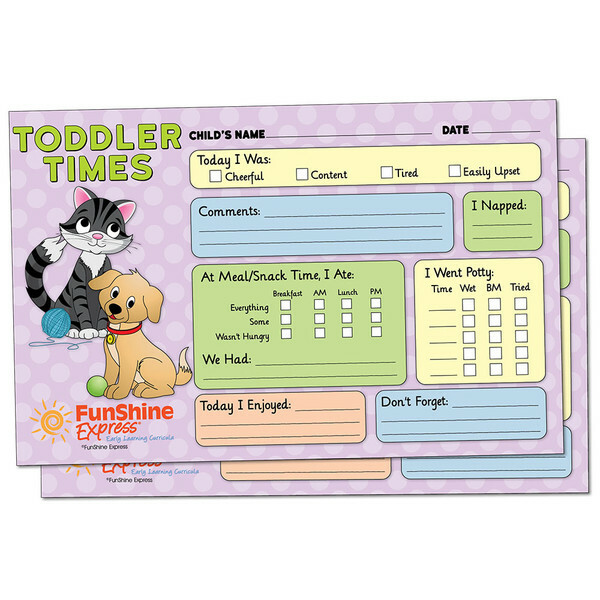 Quick way to keep parents informed of a child's meals, nap times, moods, activities, and more. Document observations and evidence. One book per child. 4 rows per indicator so it can be used for the entire year. Full-color, 24-28 pages. 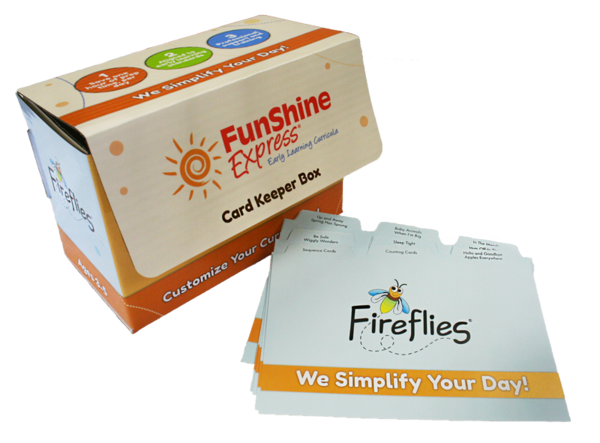 Collect and store the Music and Movement, Sequencing, and Counting Cards from the Fireflies Teacher Packs.